Let’s sew some infinity scarves. The term infinity stands for “without end”. Sounds fun, right? 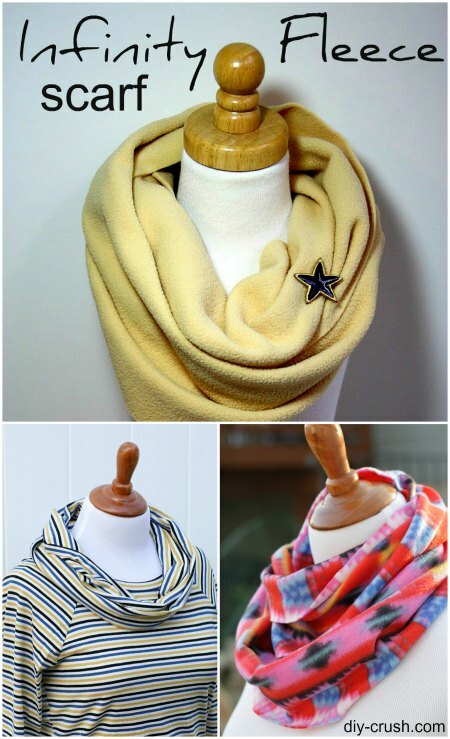 See the reasons to make infinity scarves plus links to free easy infinity scarf tutorials. Maybe it won’t be a surprise to many of you that I am kind of addicted to infinity scarves. Not just scarves! No, infinity scarves! They are so great to wear and have so many positive aspects as you will learn further below. If you haven’t made any yet I urge you to start! Especially as gifts they offer so much! And of course, if you prefer to finish the edges (I like to leave them unfinished, just my preference) then you can certainly do that. Just increase the width by 1″ and fold in the edges 1/2″. First, I want to show off my recent addition to my ever growing collection of handmade infinity scarves. I got this pretty and colorful Aztec fleece fabric at my local Hancock Fabric store. I bought it to make my daughter and myself matching sweatshirts (yeah, we’re besties!) So anyways, here is my new infinity scarf! It matches one of my winter coats so well. I also love the softness of this fleece. It’s not anti-pill but this usually doesn’t deter me from using pill fleece. For this particular infinity scarf I used my own tutorial I posted over at my other blog. It comes with measurements! And here is a knit fabric infinity scarf. It’s made the same way. I used jersey knit fabric for that. 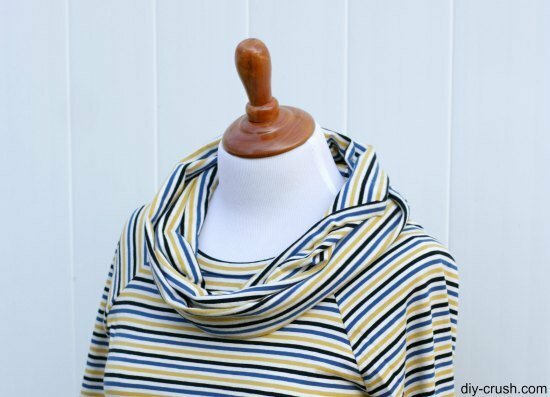 Knit fabric is a great alternative to fleece for making infinity scarves. I also made myself a matching shirt with it. It was actually the other way around, first the shirt then the scarf since I had a small remnant left over. Now this set looks like one shirt with a cowl neck, right? This one from I Heart Naptime. Or this pretty floral and lace scarf from Flamingo Toes. AKA Design shows you how to make theirs with great images. 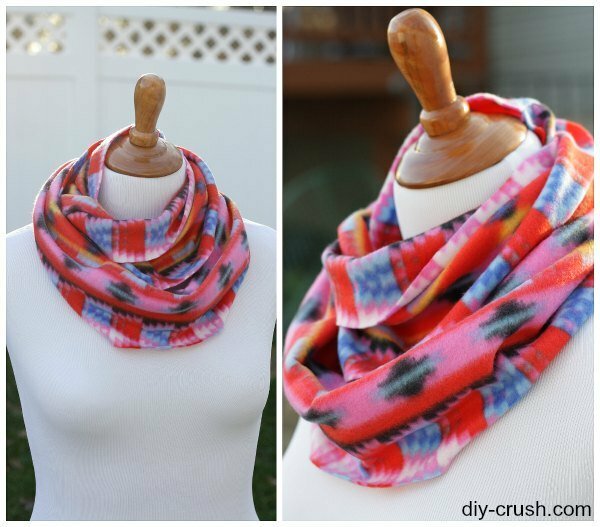 If you liked this post about infinity scarf tutorials, would you like us to email you when we have a new post up? You can choose what interests you! Then hop on the list by entering your email below! We promise, we only send you 1-2 emails per week! 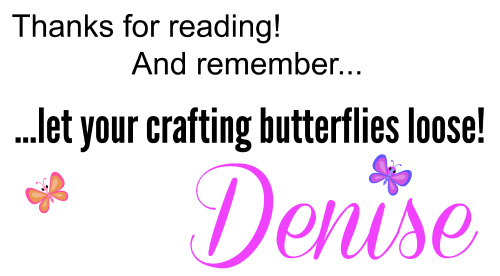 We are linking up to some of these awesome blogs! 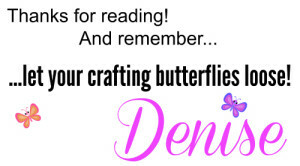 Check them out to find more amazing DIY inspiration and come over to our link party on Thursdays at 7pm EST! I love infinity scarves, too. I crocheted several for gifts last year. Maybe this year, I will sew some up. Love the Aztec scarf! Happy to hear you like this post!! Thanks for visiting!